Pure Ingredients:Organic jojoba oil, organic beeswax, Vitamin E, healing organic marigold (calendula), Vitamin C, Vitamin A. 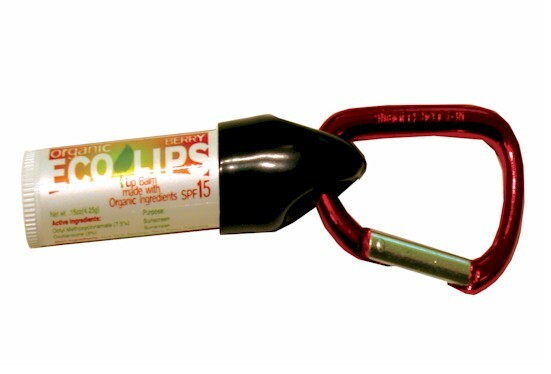 Over 95% certified organic ingredients. Pure Ingredients:Organic jojoba oil, organic beeswax, organic hemp oil, organic calendula, natural vanilla flavor, Vitamin E, rosemary extract. 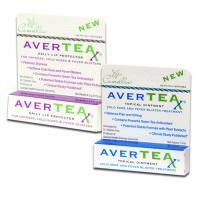 Over 95% certified organic ingredients. Developed by Dr. Stephen Hsu, a professor at Georgia Health Sciences University. For everyone who has cold sores and fever blisters. 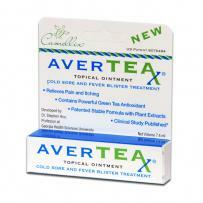 Apply AverTeaX ointment directly on the affected area throughout the day as needed. 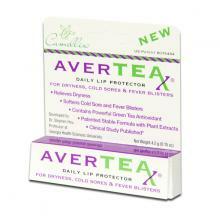 For daily use to moisturize and protect the lip area and skin from dryness, cold sores and fever blisters, use our AverTeaX Daily Lip Protector. 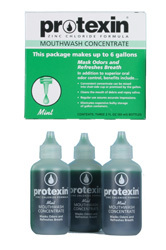 If condition worsens or does not improve after regular use of this product as directed, consult a doctor.